One week from tomorrow is the annual Coaches vs. Cancer game at Knoxville High School. 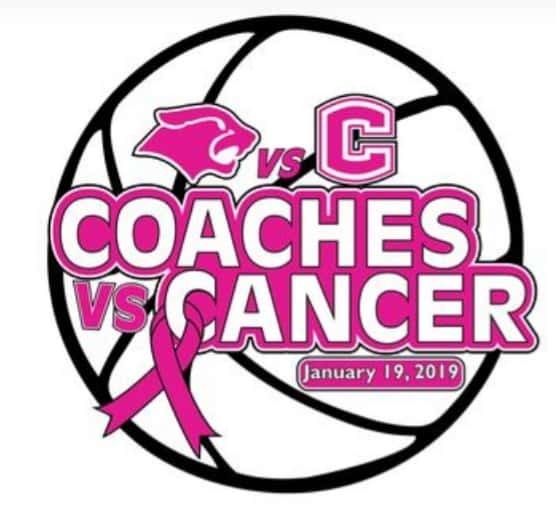 A day’s worth of activity will take place on Saturday, January 19th as the school bands together to raise funds for Coaches vs. Cancer and the American Cancer Society. There will be alumni basketball games throughout the day, including a six-on-six basketball contest; dinner will be served at the school, and there will be special promotions during the girls and boys basketball doubleheader that evening. “And you know, that’s what it’s all about for us; it’s about the high school kids getting involved…this is bigger than basketball, these are life skills that we really hope these kids will carry with them for the rest of their lives,” she says. Last year the school succeeded in breaking the half-million dollar barrier for funds raised throughout the years in Knoxville; but Uitermarkt says they’ve never really had a formal goal each year…believing that raising something is always better than raising nothing.